In the past two years or so since I last posted on this blog, I have become so disillusioned with the political process that I've effectively become desensitized to the stupidity and downright tyranny committed by nearly every politician nearly every second of the day. I used to get angry or sad when politicians committed these heinous acts, but now all I feel is numbness inside to the point it makes me feel sick. Occasionally, upon hearing of the latest tyrannical act by a politician, I'll feel an initial shock, but it doesn't last long anymore. I can feel a full range of emotions in my personal, social, and professional lives, but I've been nearly completely desensitized to politics and current events. How much of a change is this for me? Well, there were points in my life where I was listening to 8-12 hours of talk radio a day. Now, I may go nearly a whole week without listening to more than a few minutes. Why is this? Because the hosts and callers are so quick to embrace a politician and praise him the second it looks like he's locked up a nomination. If they're so quick to jump on the bandwagon now, there's less than a 0% chance they'll hold his feet to the fire, ever. I'm not saying don't vote for the nominee, but don't make your support a cakewalk. And then there's the insufferable barrage of politicians and other political hacks on talk radio and other news sources talking about gross encroachments into personal liberty as simple policy and budget issues. ObamneyCare costs too much, it's bad for jobs, etc. When I hear talk like that, the numbness starts. For instance, when Bill Bolling issued his press release through his press secretary after the SCOTUS ruling, framing it it these terms, he solidified himself in this camp forever to me. Meanwhile, when Ken Cuccinelli sends a "Cuccinelli Compass" from himself, not as a press release through a press secretary, titled, "Today is a dark day for Liberty" framing the issue solely in liberty terms, I'm inspired to quickly make a significant contribution to his campaign for Governor of Virginia because he at least gives me a glimmer of hope until the next idiot political hack shoots his or her mouth off again. 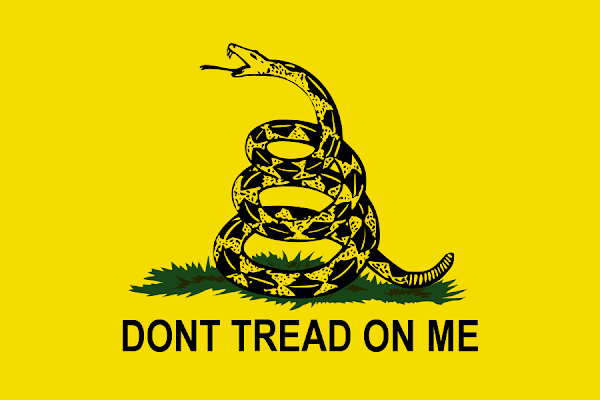 I used to be incredibly idealist and feel a wide range of emotions related to politics, but when nearly everything is a policy issue, not a liberty issue, nearly every politician is a tyrant. The question is not if he or she will stab us in the back, but when. Yes, there are a few exceptions: Ken Cuccinelli, Bob Marshall, Michelle Bachmann, and Eugene Delgaudio come to mind, but seriously not that many more current politicians. I frankly don't see how anything will ever get better when the majority of voters can't think for themselves most of the time and when they can, they've been so indoctrinated by 150 years of systematic liberal re-education, that they'll vote for someone because they have good hair and tell a good lie. And those who profess to fight for liberty, more often than not are liars who don't know what liberty really is, or worse yet, want to use the force of government to impose their version of "liberty" on the masses. There are good people out there, but until the conversation really moves into a discussion of liberty restraining government, not false "liberty" or "equality" being forced upon individuals using the government's monopoly on coercive force, I don't see my faith in the political process returning anytime soon. 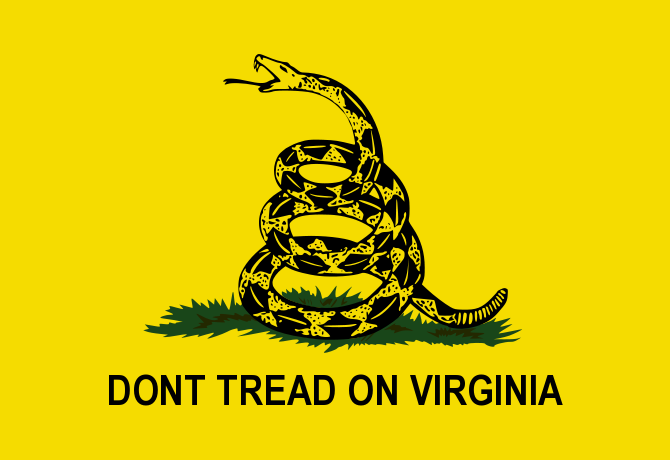 Disclaimer: Don’t Tread on Virginia does not support amnesty for illegal aliens or minimum wage laws. This article examines why skilled labor unions support these policies for their own interests at the expense of everyone else. Please do not stop reading this article prematurely assuming this article or website supports these policies. The purpose of this article is show that what’s good for unions is typically bad for America. I've heard several talk radio hosts wonder why skilled labor unions support amnesty for illegal aliens. The hosts typically allege that it will cost the union members jobs. Many hosts write off the support for amnesty as support for liberal policies by the leadership regardless of the cost to rank-and-file members. I agree that this is a frequent occurrence in union political involvement. A key example is the union support for cap and trade when it hurts everyone, especially the industries with strong union presence such as mining and manufacturing. However, this is not the only factor concerning amnesty. In fact, there is an economically rational reason for skilled labor unions to support amnesty. This reason is bad for the economy as a whole and those not in skilled labor unions, but it can benefit skilled labor union rank-and-file members. The reason why it may be economically rational for skilled labor unions to support amnesty for illegal aliens is quite similar to the reason why they support minimum wage increases. This article focuses on skilled labor unions because most unions are skilled labor unions and because advocating these policies will potentially benefit skilled laborers at the expense of unskilled laborers. One of the main reasons employers hire illegal aliens is to sidestep the costs of burdensome labor and tax laws. If you pay an illegal alien under the table, you can sidestep minimum wage laws, tax laws, and other labor laws. Since the illegal alien is violating the law by being in the country illegally and working here illegally, you have a case of mutually assured destruction if the illegal alien reports the employer for violating labor laws or the employer reports the illegal alien to the INS. Thus, hiring an unskilled illegal alien can be far cheaper than hiring a legal unskilled employee. Hiring multiple unskilled illegal aliens can be cheaper than hiring one legal skilled employee (e.g., skilled labor union member) to do the same task. Skilled labor is in competition with unskilled labor in many industries. For instance, say an unskilled laborer can make one widget per hour while a skilled laborer can make three of the same widgets in the same hour. The labor cost per widget is the same, ceteris paribus, if you paid the unskilled laborer $5 per hour and the skilled laborer $15 per hour. The labor cost is $5 per widget despite the skill-level of the employee, so it doesn’t matter whether you use skilled or unskilled labor. But, suppose there is a minimum wage of $5 per hour for all employees. At this minimum wage, nothing changes because both skilled and unskilled laborers already make at least the minimum wage. Now, suppose the minimum wage is raised to $8 per hour. The labor cost for an unskilled laborer to produce one widget is now $8. However, the labor cost for a skilled laborer to produce one widget is still $5 since $15 per hour is still above the minimum wage. Skilled and unskilled labor are substitute goods, so ceteris paribus, the labor cost per widget would rise to $8 for skilled labor as well, for a skilled labor wage of $24 per hour. However, labor costs are not isolated from other costs, so we can’t consider them ceteris paribus. If $8 per widget for labor costs is too high for the employer, the unskilled laborers will be priced out of their jobs and replaced by cheaper skilled laborers in lieu of raising the wages of both types of laborers. A reduced supply of potential employees with acceptable labor costs (now only skilled laborers) will increase the wages of laborers overall and reduce the total quantity demanded of laborers. Wages of laborers will increase, but won’t skilled laborers lose jobs? Probably not, and since skilled laborers are taking the place of unskilled laborers, they’ll probably gain jobs. Remember, the total quantity demanded of labor will decrease, but the share of skilled labor in the total will skyrocket. Plus, in this example, the work of one skilled laborer can replace the work of three unskilled laborers, so you would expect higher cost but more productive (skilled) labor to replace lower cost but less productive (unskilled) labor, raising wages but lowering the number of laborers. Skilled laborers gain employment when a substitute good, unskilled labor, is priced out of the market. That is why skilled labor union rank-and-file members benefit from minimum wage increases despite the fact that they typically make far more than the minimum wage. However, this raises unemployment for the economy as a whole, especially for unskilled laborers. What’s good for skilled labor unions is bad for the country. Now, how does this tie into the main topic of this article, amnesty for illegal aliens? Most employed illegal aliens are unskilled laborers and many are either paid less than the minimum wage or their labor costs are otherwise less because paying them under the table allows employers to sidestep labor and tax laws. Granting amnesty to illegal aliens takes away the threat of mutually assured destruction for the now legal aliens or citizens. They can now demand that their employer pays them the minimum wage over the table and follows all labor and tax laws since they no longer need to fear deportation from reporting their employer for violating labor and tax laws. For the former illegal aliens, this is effectively a minimum wage increase for unskilled laborers, which will price many of them out of the market in favor of skilled laborers. This benefits rank-and-file members of skilled labor unions, again at the expense of unskilled laborers and the economy as a whole, especially the former illegal aliens. Additionally, former illegal aliens that are in fact skilled laborers will join skilled labor unions, increasing the declining memberships of private-sector skilled labor unions. In summary, as is often the case, skilled labor unions benefit at the expense of unskilled laborers and the economy as a whole. Granting amnesty to illegal aliens means skilled labor union employment will increase while overall employment decreases. So, skilled labor union support for this policy is more than just liberal politics. Although, like most liberal policies, it favors one group at the expense of all other groups. Earth Day: You Don't Support Murder, Do You? Earth Day was founded by Ira Einhorn, the Unicorn Killer, to honor Lenin's 100th birthday. The Unicorn Killer killed Holly Maddux and stuffed her in a trunk where she mummified. His lawyer was Arlen Spector, who would become a liberal senator until Pat Toomey defeated him in 2010 (hopefully). Supporting Earth Day is supporting a murderer. You don't support murder, do you? Pay Your State Taxes in Federal Reserve Notes? Your State Violated Article I Section 10 of the U.S. Constitution! Federal Reserve Notes and checking, savings, credit card, etc. accounts that are backed by them are fiat money and not backed by gold or silver coin. Therefore, if your state allowed forced you to pay your taxes (i.e., debt to the state) with Federal Reserve Notes, your state violated the Article I Section 10 constitutional prohibition disallowing states to "make any Thing but gold and silver Coin a Tender in Payment of Debts." In fact, this clause of the U.S. Constitution is the key tenet in the Tenth Amendment Center's strategy for "Ending the Fed From the Bottom Up." It was in fact most of the founders' (not Hamilton's of course) intent that the federal government would also be prohibited from printing fiat (not backed by precious metals) money as well. Congress is given the power to coin money in Article I Section 8, which at the time of the founding meant specie (backed by precious metals) money. Printing fiat money is not an enumerated power and is therefore unconstitutional. Judicial activism on the part of the U.S. Supreme Court has allowed for Federal Reserve Notes to become fiat money, despite this being unconstitutional. I really recommended reading the Tenth Amendment Center's article mentioned above, "Ending the Fed From the Bottom Up," for further discussion and enlightment on this topic. A lawsuit filed by Florida AG Bill McCollum in U.S. District Court for the Northern District of Florida, Pensacola Division on March 23, 2010 includes or soon will include Florida, South Carolina, Nebraska, Texas, Utah, Louisiana, Alabama, Colorado, Michigan, Pennsylvania, Washington, Idaho, South Dakota, Indiana, North Dakota, Mississippi, Nevada, Arizona, and Georgia as plaintiffs versus the U.S. Department of Health and Human Services; Kathleen Sebelius, U.S. Secretary of the Department of Health and Human Services; the U.S. Department of the Treasury; Timothy F. Geithner, U.S. Secretary of the Department of the Treasury; the U.S. Department of Labor; and Hilda L. Solis, U.S. Secretary of the Department of Labor as defendants. Virginia's great defender of liberty, AG Ken Cuccinelli filed a separate lawsuit in the U.S. District Court for the Eastern District of Virginia, Richmond Division on March 23, 2010 with the Commonwealth of Virginia ex. rel. Kenneth T. Cuccinelli, II as the plaintiff versus Kathleen Sebelius, U.S. Secretary of the Department of Health and Human Services as the defendant. AG Cuccinelli's suit is separate because of the Virginia Healthcare Freedom Act, which asserts Virginia's sovereignty against the most blatantly unconstitutional part of ObamaCare, the individual mandate. Virginia is the only state so far with such legislation passed and signed into law, although many other states are working on similar measures. No resident of this Commonwealth, regardless of whether he has or is eligible for health insurance coverage under any policy or program provided by or through his employer, or a plan sponsored by the Commonwealth or the federal government, shall be required to obtain or maintain a policy of individual insurance coverage except as required by a court or the Department of Social Services where an individual is named a party in a judicial or administrative proceeding. No provision of this title shall render a resident of this Commonwealth liable for any penalty, assessment, fee, or fine as a result of his failure to procure or obtain health insurance coverage. This section shall not apply to individuals voluntarily applying for coverage under a state-administered program pursuant to Title XIX or Title XXI of the Social Security Act. This section shall not apply to students being required by an institution of higher education to obtain and maintain health insurance as a condition of enrollment. Nothing herein shall impair the rights of persons to privately contract for health insurance for family members or former family members. This is a great first start to nullify ObamaCare within the Commonwealth of Virginia and provide the Commonwealth and its citizens legal standing to sue the federal government and attempt to get ObamaCare declared unconstitutional in court. But, what if some of these suits make it to the U.S. Supreme Court (SCOTUS) and they declare ObamaCare constitutional in a massively disgraceful example of judicial activism? Should the states listen to the SCOTUS ruling and just give up? An Act to render null and void certain unconstitutional laws enacted by the Congress of the United States, taking control over the health insurance industry and mandating that individuals purchase health insurance under threat of penalty. 1. The People of the several states comprising the United States of America created the federal government to be their agent for certain enumerated purposes, and nothing more. 2. The Tenth Amendment to the United States Constitution defines the total scope of federal power as being that which has been delegated by the people of the several states to the federal government, and all power not delegated to the federal government in the Constitution of the United States is reserved to the states respectively, or to the people themselves. A. The Legislature of the State of _______________ declares that the federal law known as the “Patient Protection and Affordable Care Act,” signed by President Barack Obama on March 23, 2010, is not authorized by the Constitution of the United States and violates its true meaning and intent as given by the Founders and Ratifiers, and is hereby declared to be invalid in this state, shall not be recognized by this state, is specifically rejected by this state, and shall be considered null and void and of no effect in this state. B. It shall be the duty of the legislature of this State to adopt and enact any and all measures as may be necessary to prevent the enforcement of the “Patient Protection and Affordable Care Act” within the limits of this State. C. Any official, agent, or employee of the United States government or any employee of a corporation providing services to the United States government that enforces or attempts to enforce an act, order, law, statute, rule or regulation of the government of the United States in violation of this act shall be guilty of a felony and upon conviction must be punished by a fine not exceeding five thousand dollars ($5,000.00), or a term of imprisonment not exceeding five (5) years, or both. D. Any public officer or employee of the State of ____________ that enforces or attempts to enforce an act, order, law, statute, rule or regulation of the government of the United States in violation of this act shall be guilty of a misdemeanor punishable by imprisonment in the county jail not exceeding two (2) years or by a fine not exceeding One Thousand Dollars ($1,000.00) or both such fine and imprisonment. The most important addition in this proposed legislation is that it attempts to block federal enforcement of the unconstitutional law through harsh criminal and civil penalties for those who attempt to enforce the provisions of ObamaCare. Federal employees who attempt to enforce ObamaCare would be guilty of a felony and state employees guilty of a misdemeanor and both subject to civil suit by the aggrieved party. This would hopefully deter federal and state agents from enforcing ObamaCare for fear of personal criminal and civil consequences to the federal or state agent him or herself, not just to his or her agency. But, if SCOTUS rules ObamaCare constitutional, doesn't the Supremacy Clause of Article VI of the U.S. Constitution prevent nullifcation of ObamaCare? The founders never intended SCOTUS to be the sole arbiter of constitutionality. The is no enumeration of this power to SCOTUS anywhere in the U.S. Constitution. This power was seized for SCOTUS by SCOTUS in Marbury v. Madison (1803) by the Hamiltonian Chief Justice John Marshall in a gross power grab, Hamiltonian style. Many of the founding fathers envisioned that states and each of the federal branches individually would share this role through competition. This power is not an enumerated power of SCOTUS, but an unconstitutional seizure that has gone on for far too long. The states have every right to declare ObamaCare unconstitutional and not supreme over their own laws because Obamacare was not made in "pursuance" to the enumerated powers given to Congress by the U.S. Constitution. The states can and must nullify ObamaCare if SCOTUS does not strike it down. American Idol President to Appear on...American Idol? Barack Hussein Obama and his leading lady will appear in their most important roles yet...the roles they were destined to play...the American Idol president will appear on...American Idol! He's been worshipped as an idol for years now by the left...now he's going to appear on the show the left uses to pick their idols...American Idol. He was so great...he became an American Idol without ever appearing on American Idol...until now! Leftist news agencies have proposed picking our presidents like American Idol...now the American Idol president...on American Idol! Maybe he'll impress Simon...with a few verses of...Barack Hussein Obama...Mmm...Mmm...Mmm! Though he'll probably just make a pitch for charity...while his own half-brother lives in a hut...on $12 a year! The shallow celebrity president...showcased on America's showcase...for shallow celebrity worship! Barack Hussein Obama...appearing on Idol Gives Back...though the idol won't give back our freedoms! Barack Hussein Obama...further degrading the office of the presidency...Wednesday, April 21, 2010 at 8:00 P.M. ET on FOX.